Lincolnshire architecture, sport and leisure specialist LK2 has appointed industry heavyweight Tracey Francis as director. Tracey, who has more than 20 years’ experience in the sports world, will lead LK2’s development strategy to manage an increased demand for strategic project management in sport, leisure, community and commercial projects. Tracey has worked within leading bodies such as ECB, Sport England, and a number of local authorities and cricketing organisations. Her role will include developing and procuring new projects, as well as working within the senior team to offer a full service to the firm’s sport, leisure and education clients; focusing on creating facilities which will enhance communities across the country. She said: “I have joined the LK2 team during an exciting period; whereby myself alongside CEO, Dale Lui, and managing director of sport and leisure, Gary Johnson, will be building upon the frameworks already in place to maximise our clients’ sport and leisure facilities, to present them with bespoke strategies and funding solutions which will optimise their offerings. In her new role she will be exploring new and innovative opportunities to work with both the private and public sector to create commercial partnerships and develop social responsibility. Dale Lui, CEO of the LK2 Group, said: “Having Tracey join our board of directors marks an exciting period in the firm’s evolution. We see her appointment as a huge coup for the firm. Her expertise and industry knowledge are invaluable and will help us to continue providing our unique all-encompassing service to even more businesses. “We are certain that we will continue to grow and having Tracey join us will allow us to tackle challenging projects nation-wide, where we can show case our team’s talent and range of skills. Tracey will bolster the senior team, helping to grow the business’ profile to a more strategic level in terms identifying and delivering of flagship projects. LK2 is a unique firm of consultants who specialise in architecture, sports and leisure project development. It works on projects ranging from residential properties and office spaces to the development of town centres and large sports facilities. 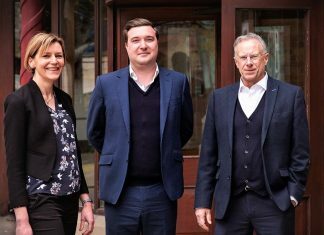 One of the largest areas of growth for LK2 has been its work with the FA and Sport England on a number of projects – the firm has reported an increase of 112 per cent of growth in this area over the last year, signalling an important development for LK2.